However, there is no evidence in documents turned over to the special counsel that any briefings were held. The emails are among tens of thousands of documents that have been turned over to congressional investigators and Special Counsel Robert Mueller’s team as they probe whether Trump associates coordinated with Russia as part of Moscow’s efforts to interfere in the 2016 U.S. election. Nonetheless, investigators believe that the exchanges, which reflect Manafort’s willingness to profit from his prominent role alongside Trump, created a potential opening for Russian interests at the highest level of a U.S. presidential campaign, according to people familiar with the probe. Several of the exchanges, which took place between Manafort and a Kiev-based employee of his international political consulting practice, focused on money that Manafort believed he was owed by Eastern European clients. The notes appear to be written in deliberately vague terms, with Manafort and his employee, Konstantin Kilimnik, never explicitly mentioning Deripaska by name. Investigators believe that key passages refer to Deripaska. The billionaire is referenced in some places by his initials, “OVD,” and one email invokes an expensive Russian delicacy in what investigators believe is a veiled reference to Manafort’s past work with Deripaska. Manafort spokesman Jason Maloni said Wednesday that the email exchanges reflected an “innocuous” effort to collect past debts. “It’s no secret Mr. Manafort was owed money by past clients,” Maloni said. Maloni said no briefings with Deripaska ever took place, but that, in his email, Manafort was offering what would have been a “routine” briefing on the state of the campaign. The email exchanges add to an already perilous legal situation for Manafort, whose real estate dealings and overseas bank accounts are of intense interest for Mueller and congressional investigators as part of their examination of Russia’s 2016 efforts. People close to Manafort believe Mueller’s goal is to force the former campaign chairman to flip on his former Trump associates and provide information. In August, Mueller’s office executed a search warrant during an early-morning raid of Manafort’s Alexandria, Virginia, condominium, an unusually aggressive step in a white-collar criminal matter. Mueller has also summoned Maloni, the Manafort spokesman, and Manafort’s former lawyer to answer questions in front of a grand jury. Last month, Mueller’s team told Manafort and his lawyers they believed they could pursue criminal charges against him and urged him to cooperate in the probe, providing information about other members of the campaign. The New York Times reported this week that Manafort had been threatened with indictment by prosecutors. The billionaire has struggled to get visas to travel to the United States due to concerns he might have organized crime ties in Russia, according to the Wall Street Journal. He has vigorously denied any criminal ties. Russian officials have frequently raised the matter over the years with U.S. diplomats, according to former U.S. officials familiar with the appeals. In 2008, one of Manafort’s business partners, Rick Davis, arranged for Deripaska to meet then-presidential candidate John McCain at an international economic conference in Switzerland. At the time, Davis was on leave from Manafort’s firm and was serving as McCain’s campaign manager. The meeting caused a stir, given McCain’s longtime criticism of Putin’s leadership. The Washington Post reported in 2008 that Deripaska jointly emailed Davis and Manafort following the meeting to thank them for setting it up. Davis did not respond Wednesday to a request for comment. Manafort and Deripaska have both confirmed they had a business relationship in which Manafort was paid as an investment consultant. In 2014, Deripaska accused Manafort in a Cayman Islands court of taking nearly $19 million intended for investments, then failing to account for the funds, return them or respond to numerous inquiries about exactly how the money was used. There are no signs in court documents that the case has been closed. Former campaign officials said that Manafort frequently told his campaign colleagues that assertions made about him by the press were specious. Hicks, however, told colleagues she was uncomfortable with Manafort’s style and concerned he was not always putting the candidate’s interests first. In late July, eight days after Trump delivered his Republican nomination acceptance speech in Cleveland, Kilimnik wrote Manafort with an update, according to people familiar with the email exchange. Kilimnik wrote in the July 29 email that he had met that day with the person “who gave you the biggest black caviar jar several years ago,” according to the people familiar with the exchange Kilimnik said it would take some time to discuss the “long caviar story,” and the two agreed to meet in New York. Investigators believe that the reference to the pricey Russian luxury item may have been a reference to Manafort’s past lucrative relationship with Deripaska, according to people familiar with the probe. 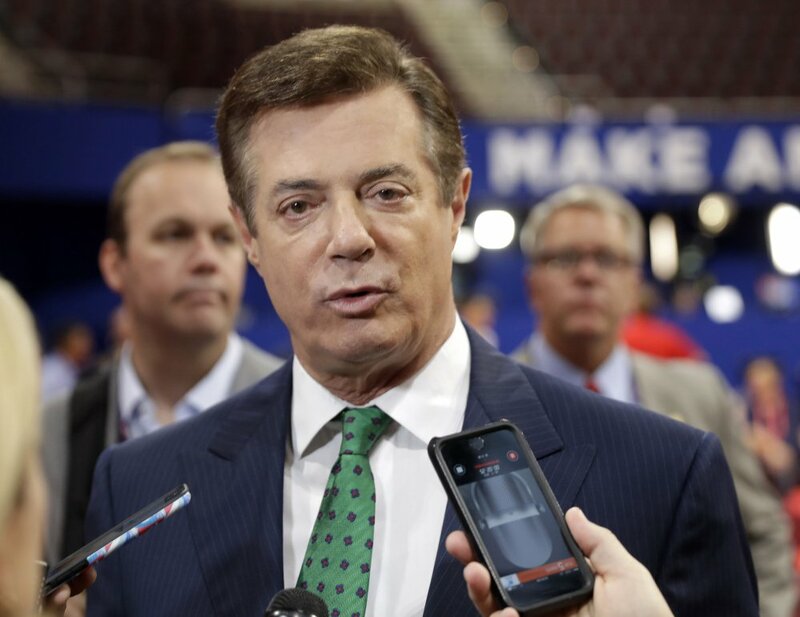 Kilimnik and Manafort have previously confirmed that they were in contact during the campaign, including meeting twice in person–once in May 2016, as Manafort’s role in Trump’s campaign was expanding, and again in August, about two weeks before Manafort resigned amid questions about his work in Ukraine.